This place is quiet and offers all the services you want. I have been living here for about two years and I have nothing to complain about. I left good memories here. Thank you for always. This is my first year back to Carbondale on my own. I grew up in this area and lived here just about all my life. The landlords here (at G & R Rentals) are very cooperative with you. If any problems come up, they are always willing to offer assistance for anything. To me, personally, the secretaries are like another mother to me. I know I always have somebody to talk with and help me in any situation. If you are ever in Carbondale and you would like to be shown around, please feel free to come by or contact the G & R Rentals crew, they are more than happy to show you their places. I’ve rented from G&R for several years. 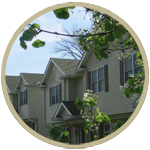 G&R keeps their apartments in superb condition and grounds are well-kept. They strive to make every tenant feel as though they’re the first one to have ever lived in that apartment. Maintenance is top-notch and make almost every repair in the same day you call it in. 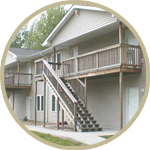 G&R’s apartments are also well-insulated, thus very energy-efficient. My friends’ electric bills are typically 3 times higher than mine. It’s truly remarkable how much money I save each month. As a single female, I feel safe living on G&R’s property. Parking lots are well-lit and all doors and windows securely lock. I haven’t moved to another place in Carbondale simply because I have no reason to! I’ve been with G&R Rentals for the past 4+ years and not once have I considered moving to another place. 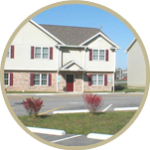 The property is very well-maintained, the location is convenient, and the people at the office are courteous, helpful, and prompt. I really like that the unit comes with a washer and dryer, which is not commonly found in one-bedroom apartments around Carbondale, and that the parking spaces are generous. As a female graduate student living alone, I needed a quiet place where I could concentrate on work and feel safe, and G&R was exactly what I was looking for. 921 – 927 E. Grand Ave.
614 & 704 E. Park St. Copyright 2019 G & R Rentals. All rights reserved. Apartments built with you in mind.